I teach in a Catholic school and we are busy gearing up for Catholic Schools Week (January 27-February 2). 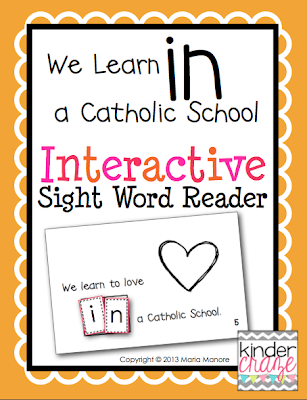 I created this new Interactive Sight Word Reader especially for the occasion. It's FREE to download. Just click the image to grab your Freebie! Stop by the Kinder-Craze blog for resources and ideas for the Catholic classroom.